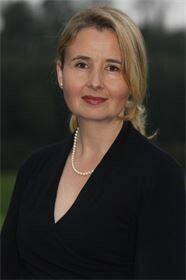 Elizabeth qualified as a solicitor in 1994. As a civil litigator she successfully acted for companies, partnerships, independent schools, private estates and individuals. She is trained and accredited by ADRgroup as a civil and commercial mediator and is an OCN qualified community mediator. For many years she trained advisers across all disciplines for Citizens Advice. Having represented clients both before the District Judge in Chambers and in Open Court she is keenly aware of the stresses and costs of litigation and considers the strategic and commercial benefits of mediation to be invaluable. As a mediator her practice areas extend to agricultural, property, commercial, consumer, workplace, contested costs, contested probate, landlord and tenant, neighbour and boundary disputes. Equally at home marking out a boundary with baling twine in wellies or reworking a commercial settlement in a corporate setting Elizabeth relishes the challenges mediation brings and the opportunity it affords for parties and advisers to be creative in their dispute resolution. It is important to her that after the mediation the parties wake up the next morning feeling that they have been listened to and are content with the arrangement that has been reached.